Aditionally, description also retrieved from page maintained by Michael D. Current! Released as a big brother to the 400/800 in 1982, the 1200XL now uses Atari's slightly customized 6502C microprocessor, and includes a full 64K RAM. The 1200XL was the first 8-bit Atari with just 2 controller ports. 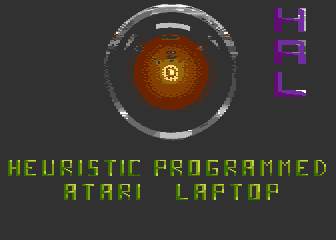 In addition, the 1200XL includes 4 programmable Function keys and a Help key, 4 LEDs, built-in diagnostic and graphics demonstration programs, and probably the favorite keyboard of any 8-bit Atari computer. 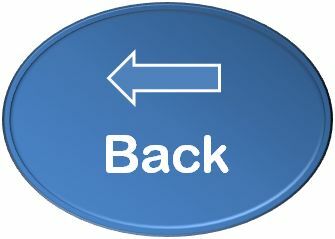 Clicks previously outputted through the built-in speaker are now heard from the television or monitor's speaker. The revised 16K Operating System offers many new features, including an alternate International Character Set. 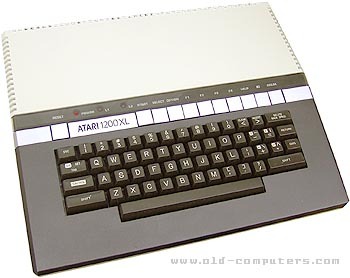 The 1200XL was the biggest single step forward in development of the 8-bit Atari platform, but the corresponding software compatability problems hurt its popularity. The 1200XL lacks separate chroma video signal, and also lacks the +5 Volts power on pin 10 of the SIO port. There is no PAL (European) version of the 1200XL. The 1200XL was discontinued in 1983.